There is some kind of magic that happens on a college campus when orientation or welcome week rolls around. Everything is new to incoming students; the campus, their roommates, the orientation leaders, their sense of freedom. The magic seems incomparable during our orientation program. For many, they say the unconditional support we provide for our students is what creates that magic. It’s not uncommon for our newest Hatters to ask “wait, you mean orientation is over?” To which I always respond that it’s only the beginning of their college journey and there is so much more to be excited about. But what happens when “reality” sinks in for students? Quickly, classes begin and incoming students find they are much harder than they ever imagined, their new roommate becomes a person they don’t understand, and the freedom they were so excited about becomes confusing. Some students may feel under-supported during this new and potentially scary time. What are we doing for these students when they are feeling overwhelmed by this new experience called college? Setting the foundation for success during orientation programming is important, but when the grind of college begins is when we need to reach out to incoming students and help them along the way. The magic of orientation is just as important now as it was when they first stepped foot onto campus. At my current institution, we very intentionally create a culture that continues to support our incoming students beyond orientation week. We work to make sure that there is a variety of programming geared towards first year students that addresses many of the issues that they are encountering. One of our programs, known as Success Labs, allows new students the opportunity to choose workshops that address ways they can define and enhance their college experience through leadership and values, wellness, and academic success. We’ve found that by allowing students the opportunity to choose sessions that align with their interests and career paths, they become more invested in the programming. Student leaders are another big contributor to the ongoing efforts to help new students feel engaged and supported at the institution. They are the ones that motivate and encourage their peers throughout the transition process. As a staff, we recognize orientation leaders are a way to keep the magic alive beyond orientation for new students and are intentional in asking them to continue to be a support system for their students after the semester begins. Our orientation leaders are trained to be allies for new students and have the ability and knowledge needed to help them feel confident throughout their transition. On the flip side, this model keeps the orientation magic alive for the student leaders, who look forward to the orientation experience as well. The continued relationship between orientation leader and incoming student helps maintain a supportive campus community. Keeping the needs of new students at the forefront of what we do throughout the semester is what gives them the ability to thrive on campus. Orientation is never over if we are purposeful in the interactions and opportunities we provide students both academically and socially. It takes an entire campus to help a student feel at ease during the transition to college; all we have to do is channel the passion we have for new students into purposeful engagement. If we commit as a community to making the orientation magic extend beyond the actual program, we are succeeding in making our students feel at home. This post is part of our #AfterOrientation series, which focuses on what various institutions do when the buzz and bustle of orientation dies down. We will learn about programs, events, and initiatives that continue the support and excitement for the new students as they start their higher education adventure. 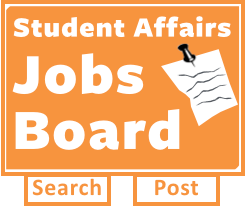 For more information, check out the intro post by Juhi Bhatt. Be sure to read the other posts in this series too! Kristin currently serves as the Assistant Director of First Year and Transition Programs at Stetson University. In this position, she implements orientation programming, first year student experiences, and other class-based transitional initiatives across campus. Kristin received her Master’s in Student Affairs in Higher Education and Bachelor of Music Education from Slippery Rock University. 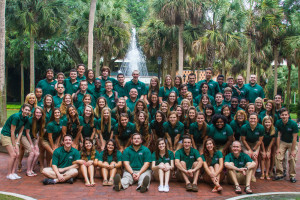 Kristin shares her passion for mentoring, support through the entire college experience, and values and leadership exploration with her orientation leaders and the students at Stetson University. You can follow Kristin on Twitter @kristinmgregory.